DCI Telecom all inclusive web hosting solution has everything you need at a no-nonsense monthly price that does not break the bank. DCI uses ultra-fast Windows or Linux servers to host your site, delivering the security and scalability that a serious Web business requires. Our data center offers superior performance with redundant, high-bandwidth connectivity, intelligent traffic load balancing among multiple servers, highly reliable network connectivity and 24×7 monitoring of network connections. This minimizes the risk of data loss and service interruptions, by supporting your site and e-mail through dozens of servers simultaneously. Our newly improved online Control Panel system allows you to manage all aspects of your hosting plan without having to call tech support for every little issue. DCI hosting services are grouped into easy-to-find categories with shortcuts to frequently used links and we’ve added even more tools for easier account management! Our Control Panel allows you to manage email accounts, set up Frontpage extensions, CGI scripts, password protect a directory, generate e-mail traffic reports, add a traffic counter, guest book or site survey and even build your site with site deluxe web site templates. DCI’s base plan allows 1GB of disk space and 200GB data transfer for only $12.95 per month. While this is more than adequate for most users, we can add additional disk space or data transfer bandwidth at any time for a small monthly fee. If you require SQL database support, ColdFusion and ASP we can upgrade you to our Advanced plan at $25.90 per month. You also get 500 e-mail accounts with your web hosting plan and contrary to most e-mail providers, you control your own spam filter settings and how much disk space each e-mail account is allowed. 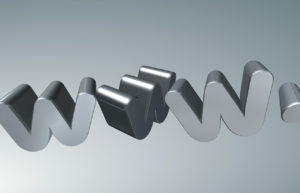 DCI Telecom can also manage your domain name registrations and e-mail services at highly competitive prices. It is against DCI Telecom policy to allow uploads of copyrighted mp3s and adult content on our servers. If you violate this term of service, your site will be deleted with no warning and no refund will be given.